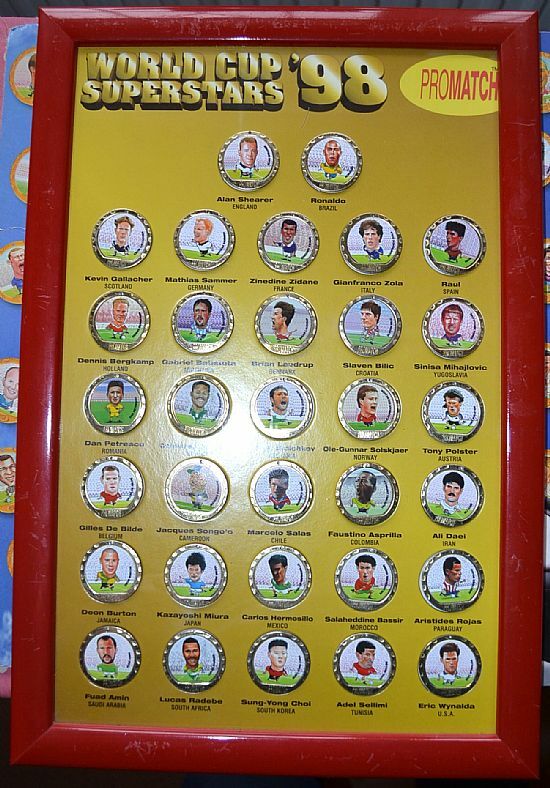 A huge set of 156 medallions from the Promatch company who are better known for printing football cards. 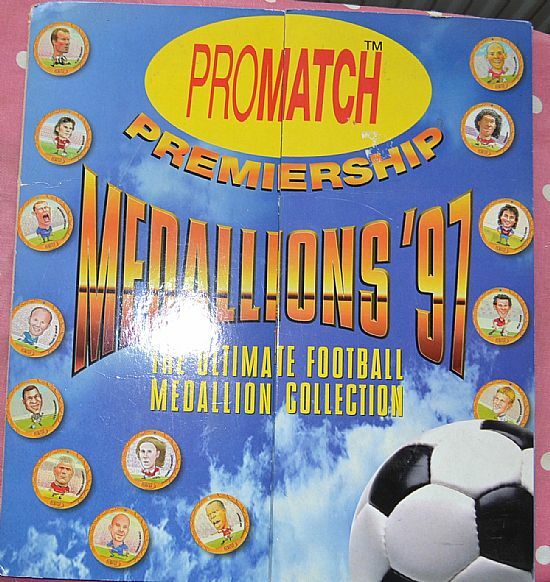 A nice looking collectors set on large presentation folder. 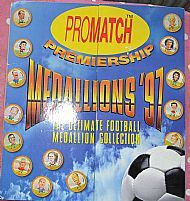 Only one version produced in 1997 together with some superb framed special sets. 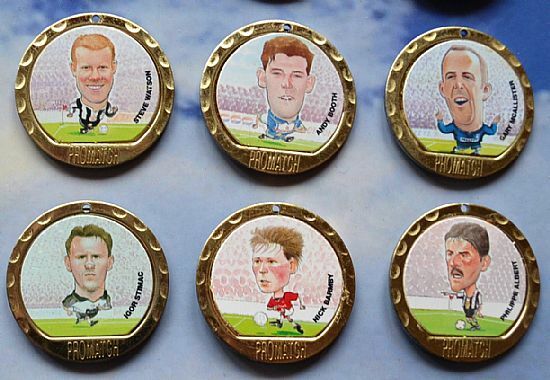 Nicely made medallions but with some ropey old illustrations and caricatures! 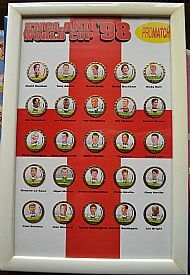 Here are the three special framed set produced for the 1998 World Cup. 30cm x 40cm in frames. 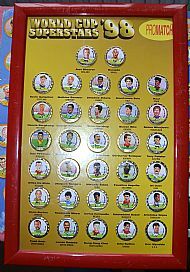 These sets all feature differnt illustrations with each player in an international kit. 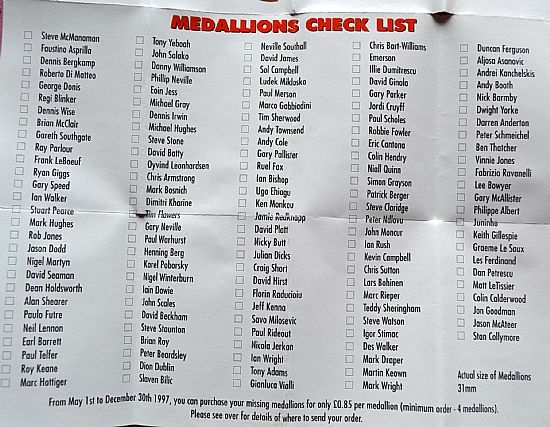 Here is the checklist if you fancy starting to collect them! 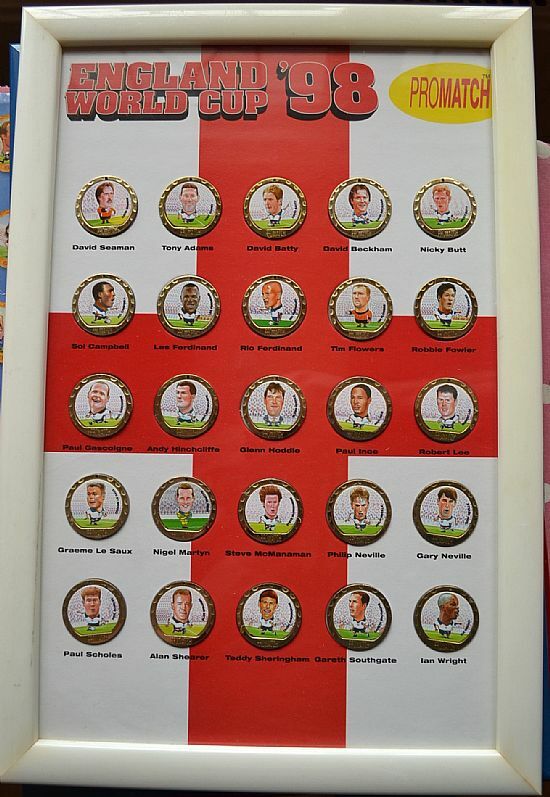 Unique set of England 98 world cup Promatch set. 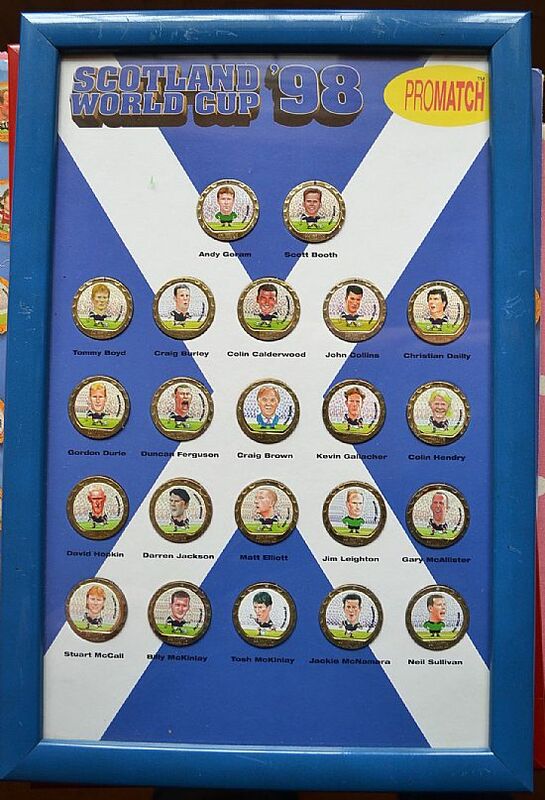 Framed set of Scotland 1998 world cup squad. 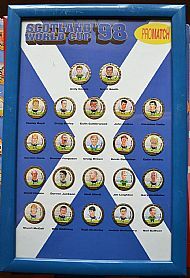 Stunning set of Promatch 98 world cup superstars medallions in frame.